[May 17, 2018] Managing Partner, Conrad Pollack, and immigration attorney, Alexandra Bondikov, were invited to participate as keynote speakers at Albert Einstein College of Medicine in Bronx, New York. 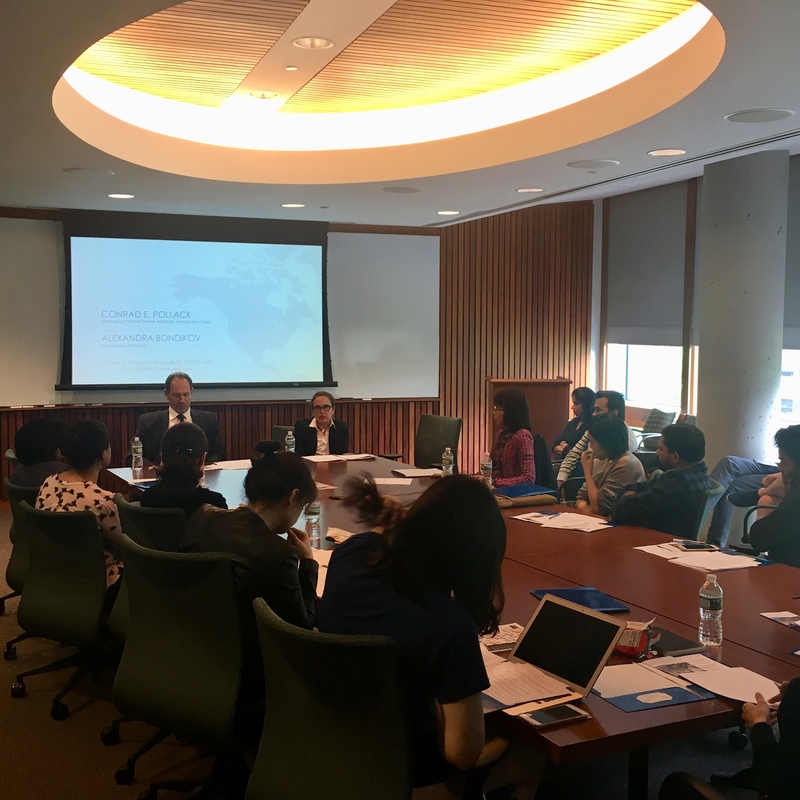 Our attorneys spoke to foreign graduate students and postdoctoral researchers about recent changes in immigration law; and recommended immigrant and nonimmigrant visa options to consider for their particular field of study/work. We want to thank Albert Einstein for having us and look forward to visiting your campus again soon! [August 5, 2017] Pollack, Pollack, Isaac & DeCicco, LLP proudly donated $1,500 as an “Activity Zone Sponsor” of the 2017 Hudson Valley Exposition. The event, which is referred to as A Celebration of Our Region, featured local businesses, food, music, drinks, a kid zone and fireworks! With the recent opening of our second firm location in Peekskill, we were invited to showcase our firm as one of the newest local businesses in town. With our #SpinToWin2017 game, attendees that visited our booth had the chance of winning prizes and free services. 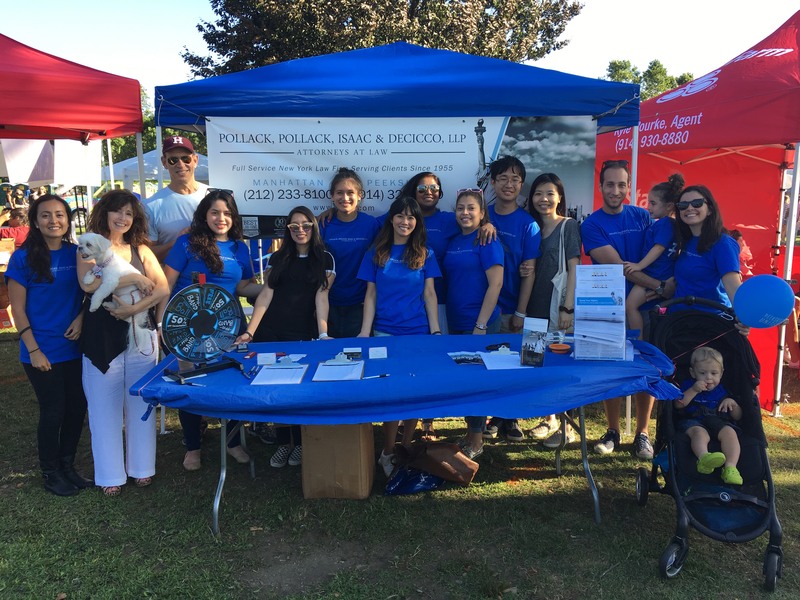 The firm had a fun and memorable experience introducing ourselves to the community and celebrating Peekskill. 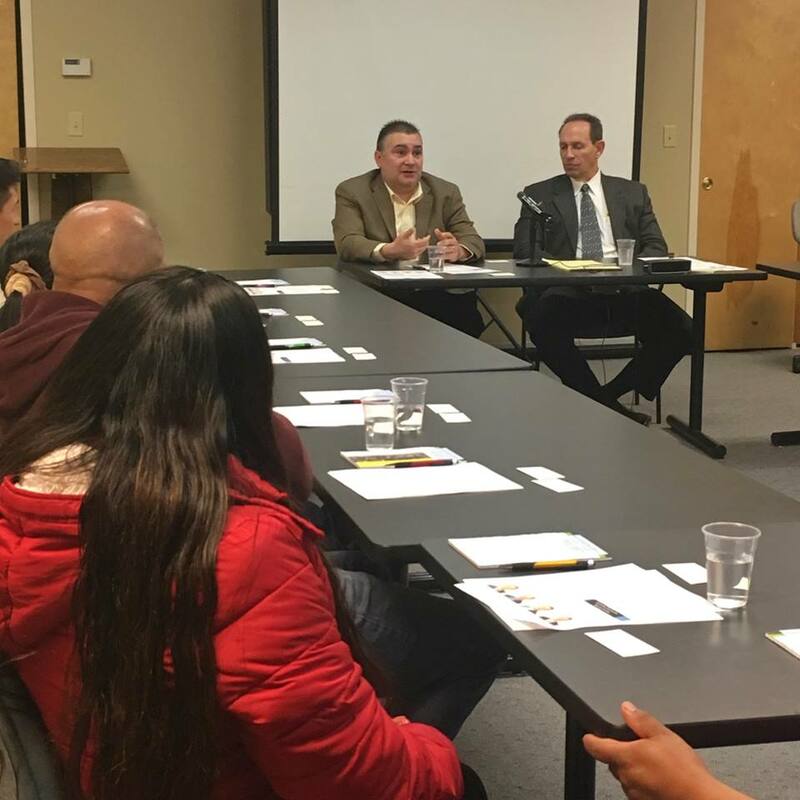 [April 5, 2017] Our Managing Partner, Conrad Pollack, and Senior Immigration Attorney, Nelson Madrid, held a free immigration seminar in Spanish for the Peekskill community. Thanks to our good friends at the Hudson Valley Gateway Chamber of Commerce for allowing us to use their facilities for the event, our attorneys were able to provide insight on recent immigration news, explained everyone’s rights in the United States, and answered questions.